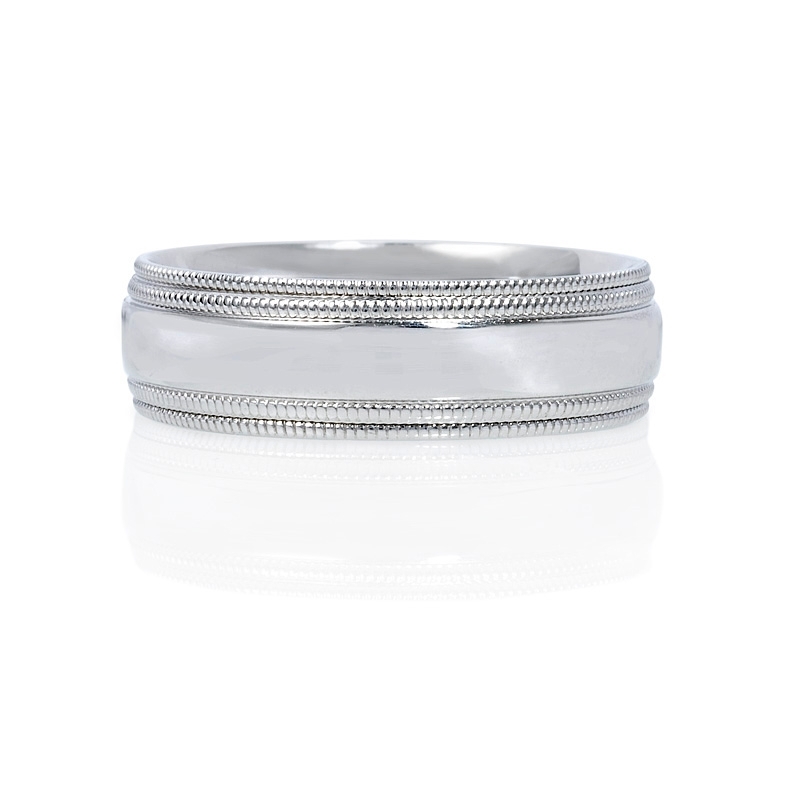 Ring Details: 14k white gold comfort fit with antique style etching details and a fine polished finish. 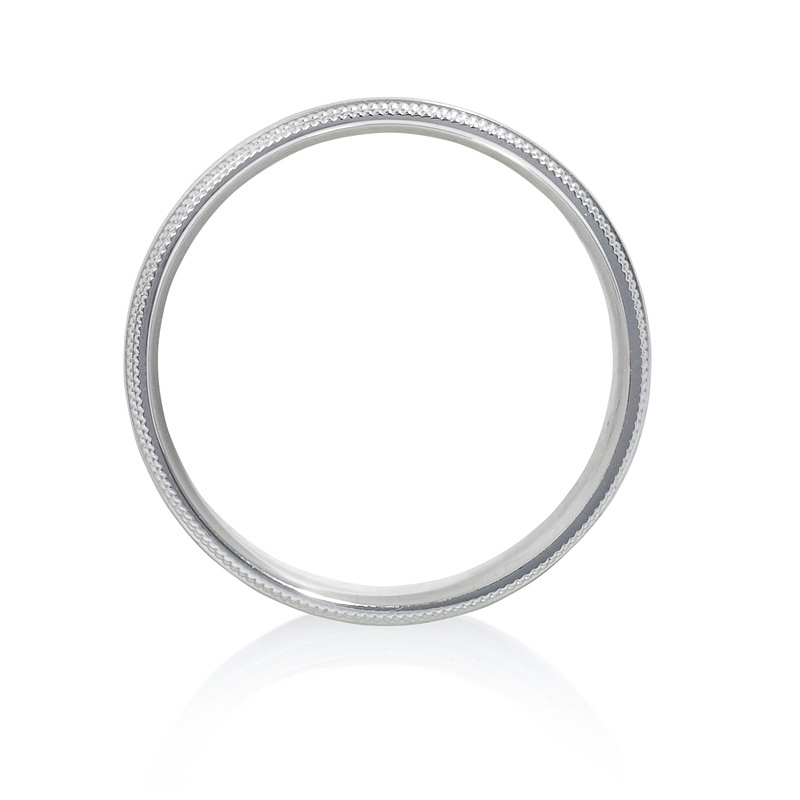 Measurements: Ring size 9, 6mm wide, and sizable to most finger sizes. Some sizes are special orders requiring approximately 3 weeks for delivery. 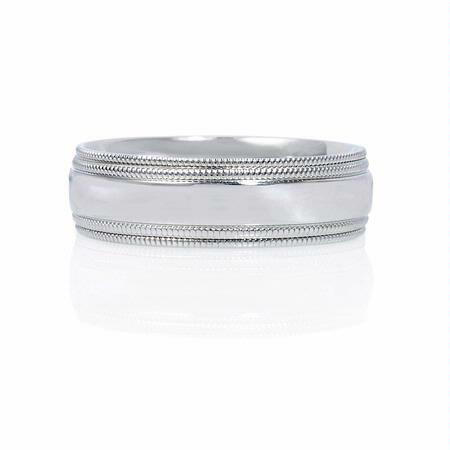 This handsome men's antique style 14k white gold comfort fit wedding band ring is expertly crafted with antique style fine etching detail and a polished finish.